ENJOY THE BEST NAVARRE BEACH HAS TO OFFER! Build your Dream Home on this Canal Front Lot with direct Access to the Santa Rosa Sound. SEA WALL AND BOAT LIFT ALREADY IN PLACE! Boat lift has recently been overhauled with new pilings, new wiring and new motor. ENJOY the Beach Lifestyle with Boating in the sound or fishing off the Navarre Beach Pier, you won't find a better location than this. Santa Rosa sound is also GREAT for Paddling, Fishing Sailing, kayaking and more. Located just a short walk to the Gulf of Mexico and some of the World's Most Beautiful Beaches! 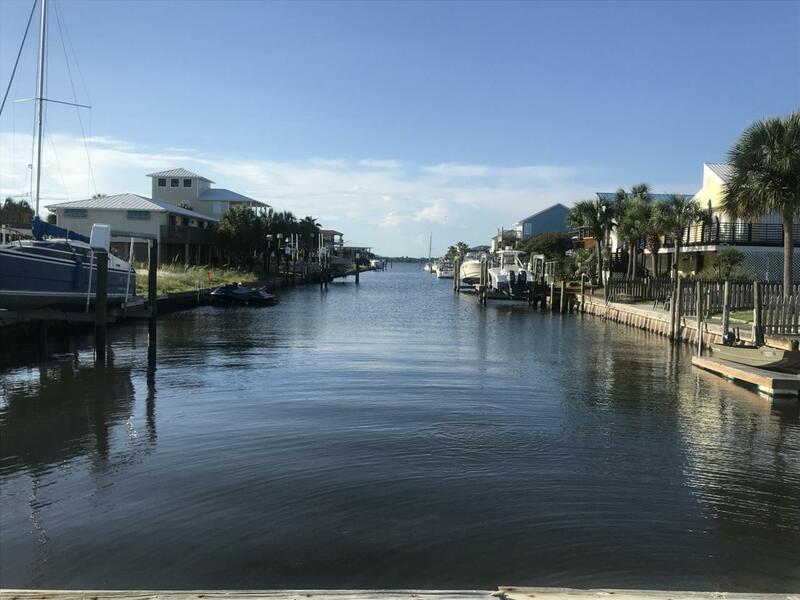 This listing is provided courtesy of Emerald Shores Realty, Inc.-2.